PAP or the People’s Action Party was officially inaugurated at the Victoria Memorial Hall. Its objective is to fight colonialism in Singapore. 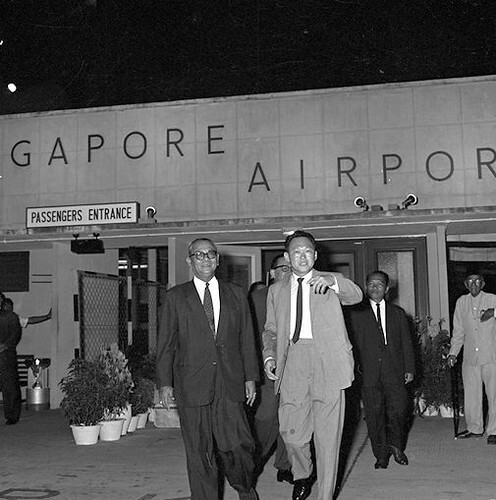 Some of the PAP founder members included Dr Toh Chin Chye (protem Chairman), Mr Lee Kuan Yew (Secretary), Mr S. Rajaratnam, Mr C.V. Devan Nair, Mr Fong Swee Suan and Mr Abdul Samad. It was the largest political gathering Singaporeans had seen for many years. More than 1,500 people packed the Hall. Among the special guests were Dato Sri Tan Cheng Lock, president of the Malayan Chinese Association (MCA), and Tunku Abdul Rahman, president of the United Malays National Organisation (UMNO).